“We will not appear unless Negroes are allowed to sit anywhere,” The Beatles said in a press statement on September 6, 1964. Halfway through a 23-city U.S. tour, the group was looking ahead to their date at the Gator Bowl in Jacksonville, where they’d heard that blacks were confined to the balconies or upper tiers at public events such as concerts. 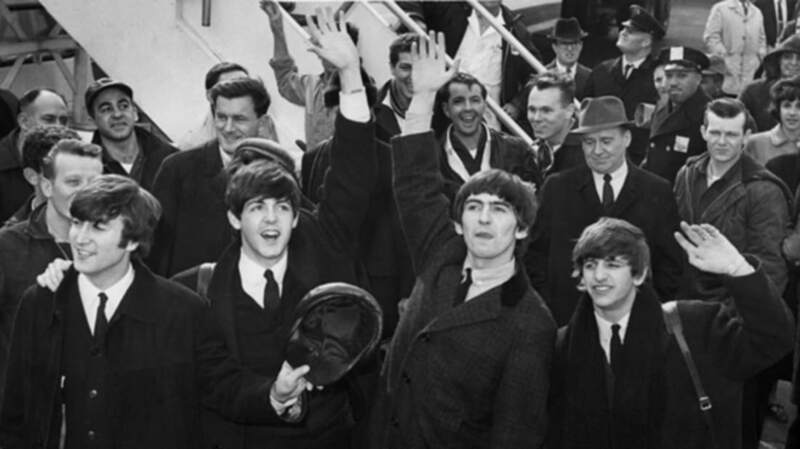 The next day, The Florida Times-Union ran a disparaging editorial entitled “Beatlemania Is A Mark Of A Frenetic Era.” The group was called “a passing fad, perfectly timed and fitted to the mores, morals and ideals of a fast-paced, troubled time.” Their sound was described as “high pitched monotone.” There was no mention of segregation, but it was clear that the paper hardly considered these “hirsute scourges of Liverpool” intelligent enough to comment on social issues. The Fab Four’s outspokenness certainly stood in sharp contrast to the behavior of most American pop stars, who were coached to stick to safe topics like favorite desserts and most embarrassing personal habits. But old prejudices die hard. In the weeks after, riots broke out in Harlem and Rochester. Black churches, homes and businesses were burned in Mississippi. And there were countless incidences of violence throughout southern cities, including Jacksonville. In February 1964 – the same month The Beatles first appeared on Ed Sullivan - a bomb exploded in the home of a black family whose son had integrated into a white school. A month later, rioting broke out. When The Beatles arrived, the city had settled down, but was still spinning its wheels in desegregation efforts. Only 60 of the 30,000 black students in Duval County attended integrated schools. Opening the concert that Friday night was the Exciters, a black R & B vocal quartet from New York, best known for their hit “Tell Him.” Though WAPE - “The Big Ape” - the local radio station promoting the concert, chose the support act, The Beatles were most likely pleased. And The Beatles’ human rights crusading continued for decades, until the group’s end and right on through their solo careers. Paul McCartney summed up their position when he told a reporter in 1966, "We weren't into prejudice. We were always very keen on mixed-race audiences. With that being our attitude, shared by all the group, we never wanted to play South Africa or any places where blacks would be separated. It wasn't out of any goody-goody thing; we just thought, 'Why should you separate black people from white? That's stupid, isn't it?'"